What piece of gear are you looking forward to next? What do you want to improve on most? Just got my XC10 in so I can’t say it is that just yet. But so far it’d probably have to be my 14-45mm f/3.5-5.6 ASPH. lens that I rock on my G7. Solid piece of glass for its price. Just more videos on youtube Reviews, streams, tutorials, and more! Everything. Especially color correcting. I just switched from premiere to resolve and I have been enjoying it so far, but I feel like I’m having a tougher time getting used to color correcting with resolve so any tips would be great. 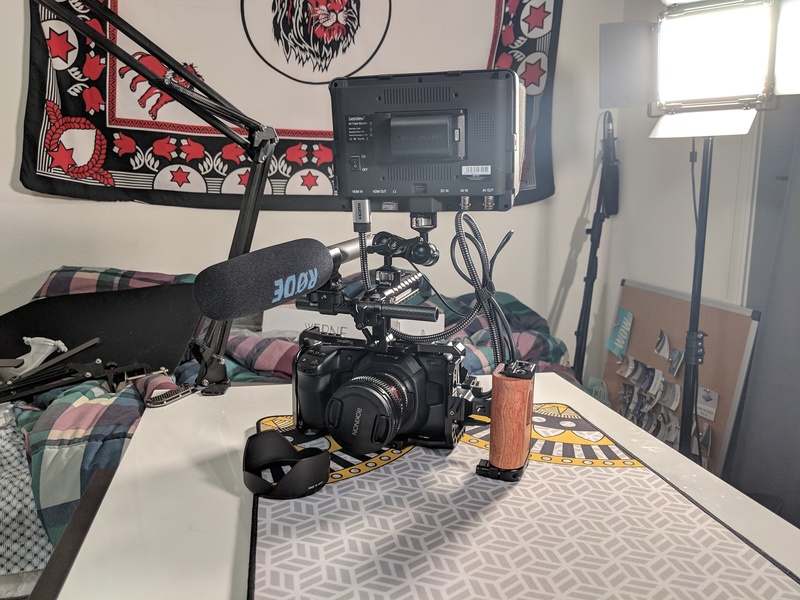 I also want to get out and shoot outdoors more, but before that I really want to make sure I have all of the ins and outs of ‘studio shooting’ (shooting in my room) down so set up and tear down of my setup can be easy and efficient for when I need to change my setup for different scenes. Editing, especially videos in Premiere. Most of my photo editing is in Lightroom CC and I’m about average proficiency with it but getting faster at editing and ingesting/rating photos would be nice. What are you shooting on right now? Primarily a7rII, I have been shooting more photo’s recently so the rII is my go to. 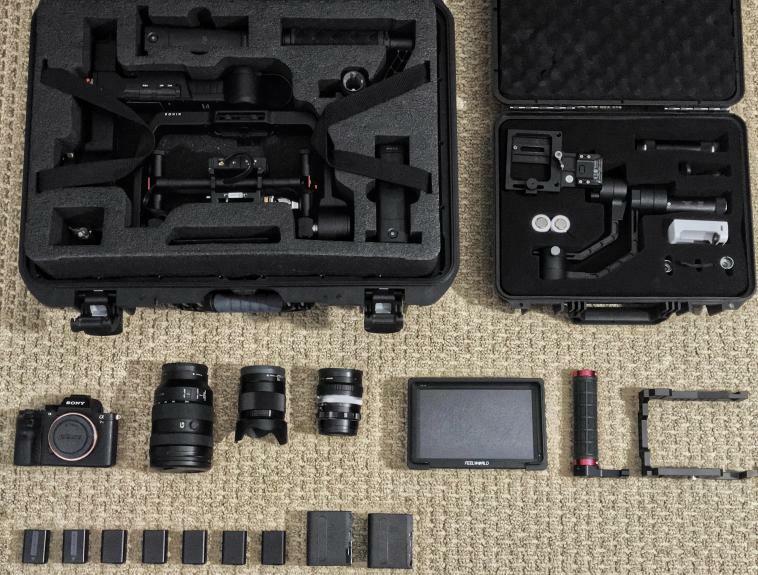 Dji ronin- M or 24-105 f/4 lens, its great for everything. A car edit featuring my car (2017 Subaru STi). The biggest thing with me is being constantly motivated to go out and shoot. My work flow is like short big spikes of productivity followed by long and lazy flatines. Also having a consistent style, I’ve been playing around with photo editing for a while but I’ve only ever recently gotten serious about it (1 year) and I have yet to get my “style” of photography. When I can, I use the smaller camera pictured above - a Chamonix 045n-2 (4x5"), and the larger beast is a Intrepid 8x10". 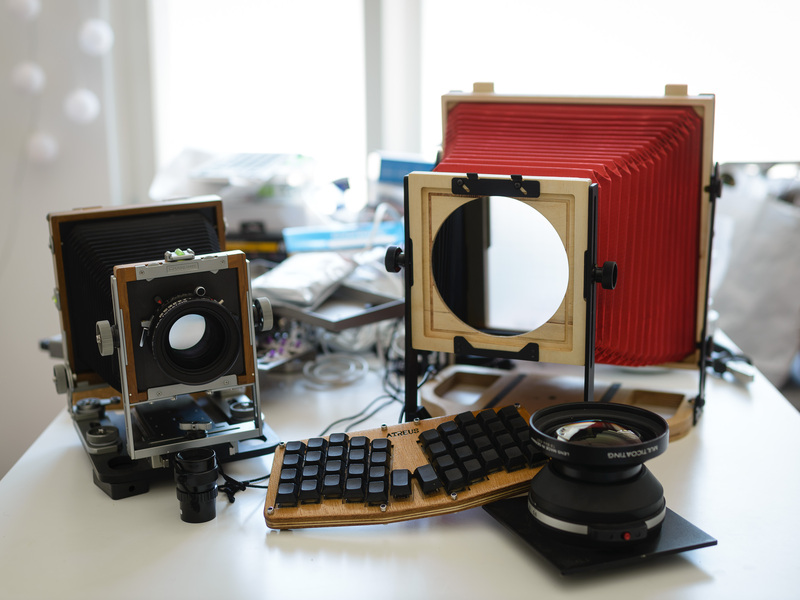 …but since I recently became a father all of that analog work is put on hold for a few years. I currently use my old trusted Nikon D600 with an assortment of prime lenses. Currently I use my Tamron 45 mm f1.8, but the old time Nikon 20 mm f2.8 is in heavy use as well. Beyond that I use my old 55 mm macro, my crappy 35 mm f2 and my excellent 85 mm f1.8. Photography. Darkroom work is my favorite activity but I haven’t had time to do it in a while. Shooting with my large format cameras is lovely as well. Only personal stuff. I’ve done a few weddings, portraits and such, but nowadays only personal projects. 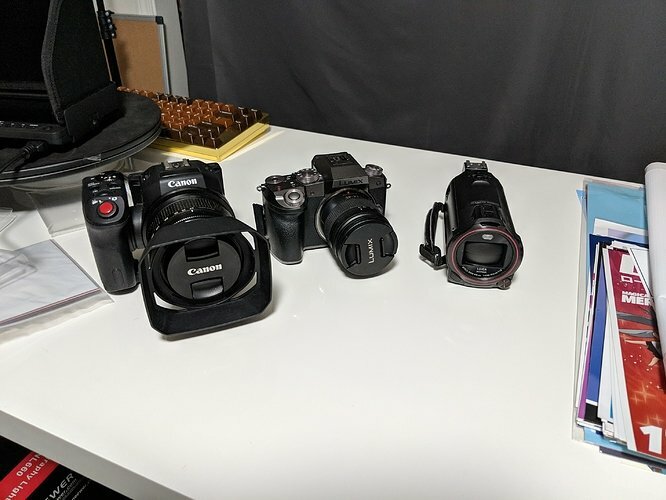 Pretty happy with my current gear, but I’m probably going to move to a smaller non-DSLR camera if my D600 breaks down (I’ve had it for…6 years or so now?). After using my large format cameras nearly exclusively for a few years, I’m really starting to miss the camera movements when using my DSLR. I might look into some tilf/shift lenses for my current system, but it’s so expensive and it is silly compared to what I’m used to have. My 4x5" camera + lenses, no doubt. Currently only doing a diary project. Portraiture and everyday life, it’s been a while since I shot that subject and did it well. Main personal camera is an Olympus OM-D E-M1 with the Olympus 12-40 f/2.8 Pro lens. 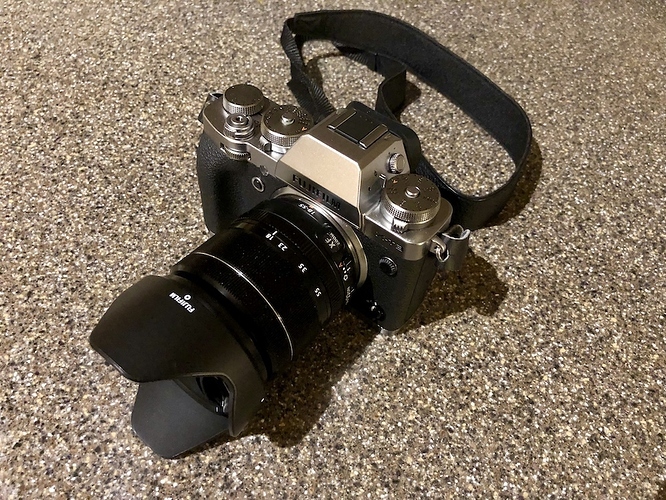 I also have several other olympus zoom lenses and many vintage ones that I can use with this body (one of the main advantages of m43 is it adaptability with older gear). I also have a Nikon body that has had the hot mirror (IR cut filter) over its sensor removed, allowing it image anything from near UV to IR depending on the lens filter package used. At this point I have put all of my vintage film cameras into storage now that I do not have access to a darkroom. 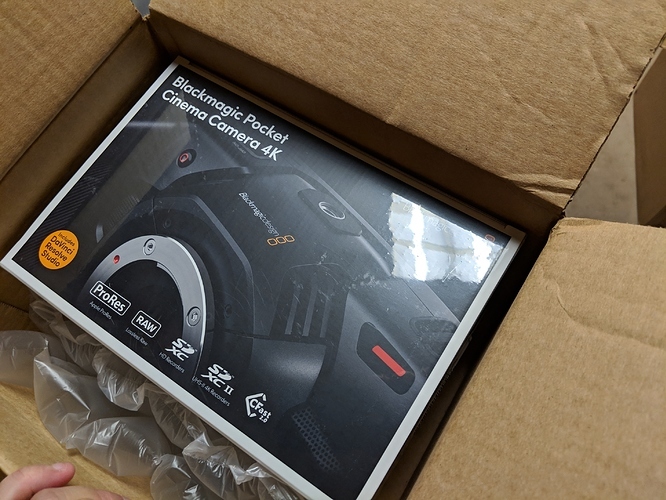 I also have the benefit of having my significant other work for a major camera rental house, so I am able to get my hands on almost anything else I would need for at least a weekend. I love being able to try out lots of different stuff. My background is in Scientific Imaging, so I have always focused on absolute accuracy and the ability to pull meaningful data from images. When editing images I aim for true to life tone and color reproduction, with critical accuracy. Personally, I like to shoot landscapes. For work I have done forensics, ballistic analysis, archaeological photomicrography, fine art and historical document digitization and reproduction, high speed imaging, and high altitude aerial imaging/mapping. My favorite piece of gear would have to be a color checker. Weird choice, but I always like using them when I can. Tabletop studio pictures of all of my keyboards / keysets. I have never been a very good ‘artistic’ photographer. I want to work on making more visually pleasing images, and learning more about studio lighting, even if it is just with my pop up lighting tent and speedlights. I also need to get out more and shoot! It is a tough balance between going out and being ‘present’ in your surroundings and enjoying your time vs. having the camera in hand and experiencing things through the lens. I also want to find more unique and interesting things to shoot - the dilemma of the landscape photographer is knowing that almost everything you shoot has been shot before, and probably by someone better. I need to find more joy in what I shoot for myself. That’s one nice gift, what lens do you think you’ll be using? I’d recommend the Lumix 12-35f/2.8 best all around lens. I also have the 25mm/f1.7 which is actually pretty great for the price tag since it goes on sale quite often. These are the two primary M43 lenses I have been using with everything involving my G7. Since this was an unexpected gift, I need to start looking at next month’s budget so I can get myself a cage, batteries (or a v lock battery solution), and a usb–c drive. I’m super pumped to try this out and see what I can do with it. Shooting with my large format cameras is lovely as well. eventhough 8sinn is like expensive as hell they have what I think are the best cf rods in the market as well as a really good v mount battery plate. It started with shooting 35 mm film, and working in the darkroom. Eventually I moved into medium format and I was amazed with the difference in image quality. At this point I had read quite a lot of literature on darkroom work, learned about view camera movements and started dreaming about being able to develop each sheet exactly as needed for the negative/scene combination. As I already had the development and printing ready I eventually located my 4x5" and the necessary gear to work with it. I got lucky and got a great deal on my setup. More progress on the BMPCC4K rig! I have done some b roll shots of keyboards that you all will start seeing in future videos. 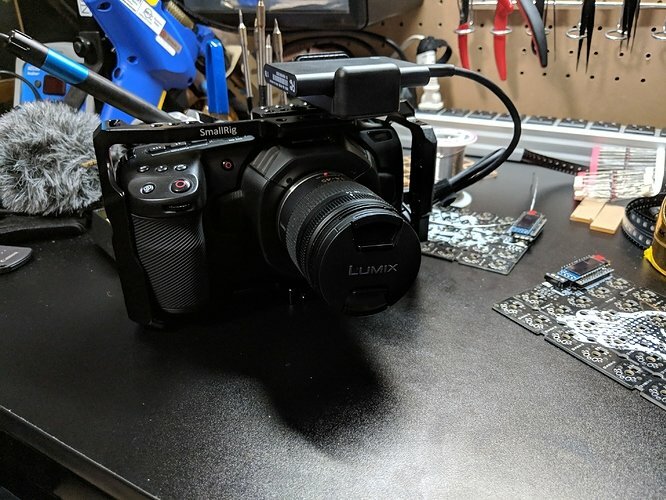 Since it’s just b roll for now, the battery life is manageable as long as I have a couple backup batteries charged and good to go. I paid my way through undergrad shooting and editing a lot of talking-head studio greenscreen work - not the most exciting stuff but I appreciated the ability to streamline and optimize a consistent workflow over time. These days it’s pretty much all hobby landscapes, although I plan to start documenting some of my keyboard-related builds, so we’ll see if that changes. As you can tell from the list above, I’m pretty frugal when it comes to camera gear, now that I’m not using it professionally! If I were to start doing more video I’m sure the RX100 would become limiting soon enough, but for now I’ll say my likely next step (maybe not for a while though) would be to upgrade the X100 and get back into interchangeable lenses. I love Fuji’s physical exposure controls - @tiger how do you like your XT3? Fuji X100, for all the buttons and dials. It’s like typing on a mechanical keyboard instead of a touchscreen! I wouldn’t call it “big”, but I’m working on some keyboard builds and will probably post some photos and maybe a video or two. First, improving my open-source video post-processing workflow. There’s lots of great options of the stills side (DarkTable, RawTherapee, etc) but for video I keep getting pulled back to Premiere. Somewhat related to the previous point, I would also like to figure out a workflow for 100% keyboard-driven video editing, at least for assembling timelines. At one point I dug into customizing Blender to do this, but there were still a few click-related actions that didn’t seem to be keymappable through the Python API. I also need to get out more and shoot! It is a tough balance between going out and being ‘present’ in your surroundings and enjoying your time vs. having the camera in hand and experiencing things through the lens. I find that when I go out with a camera I get consumed by the process of shooting and miss the bigger picture - this often leads to me just leaving the camera behind because it’s too much of distraction. I need to figure out how to balance that dynamic. What are the file sizes like? How big’s your SSD and how quickly does it fill up? I look forward to seeing these dramatically-graded keycaps you speak of! Hmm, about 68GB for approx 13mins or so of footage, so it does take up some space when I’m working hehe. Most of my videos/content aren’t longer than 15 mins, or I have normally around 200GB free on my main drive to work with. Once I finish any given project all of the files and info go to my 8TB backup. Things are filling pretty quickly, but so far so good. And no problems editing it? How beefy is your machine? Sorry for all the questions, I’ve been thinking about my own workflow a lot lately and am trying to get a handle on what the modern options look like. Everything runs alright for working with the raw footage. Some small hiccups when I’m trying to move about a larger bit of footage, but overall everything is fine. Rarely any hiccups on playback which is convenient. In terms of LUTs and grading, my gpu/cpu handles it well enough where it does take a moment, but once it applies it’s good to go. I think it’s mostly my CPU that really lets me do my editing pretty smoothly as well as the optimization in resolve.